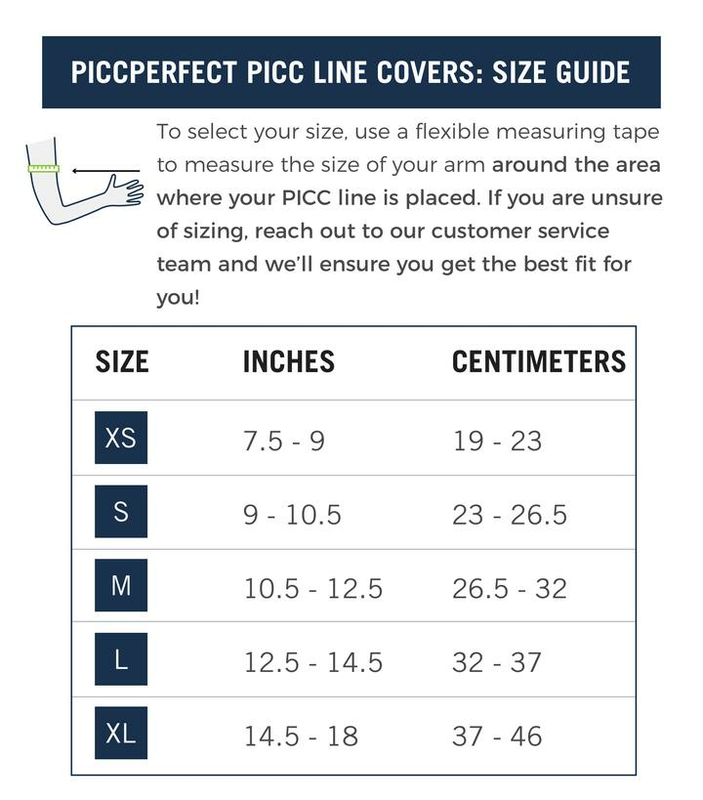 The PICCPerfect® PICC Line Cover protects and covers your PICC Line and helps prevent pulling and/or displacement. Its unique fold-over design and double access openings will allow you to do your medical treatment without exposing your PICC Line insertion site. Your PICC does not have to touch your skin! What PICCPerfect® different and better? - Larger access points make it easier to fit both single and double lumens. The access points are bonded through a heating process (so no itchy stitching!). - Advanced fabric technology including (EPA approved) antimicrobial and moisture wicking properties, and engineered seam taping for improved comfort, allow the cover to wrap comfortably around your skin. - Bonded anti-slip edges prevent the cover from slipping down your arm. Silver ion embedded fabric helps with blood circulation.